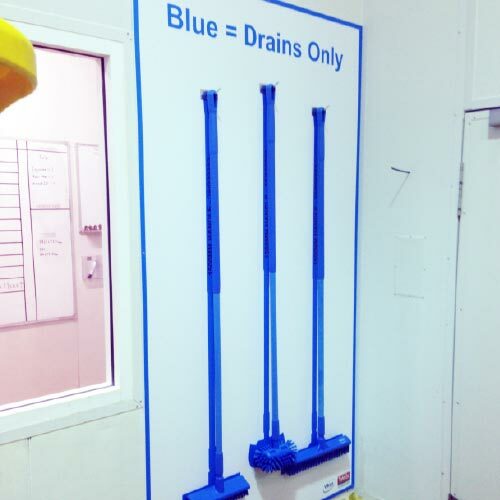 5S shadow boards provide a simple and easy way to manage storage systems and to help you achieve an organised, safe and efficient workplace, while preventing cross contamination and maximising compliance. 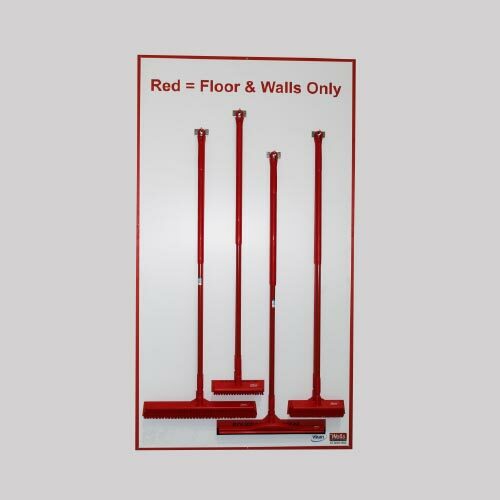 Wall mounted 5S shadow boards are specified and designed to your standards and requirements. 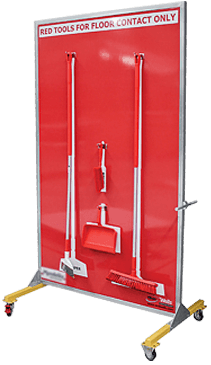 Wells 5S Shadowboards are hygienic, washable, durable and a highly effective way to organise your workplace. 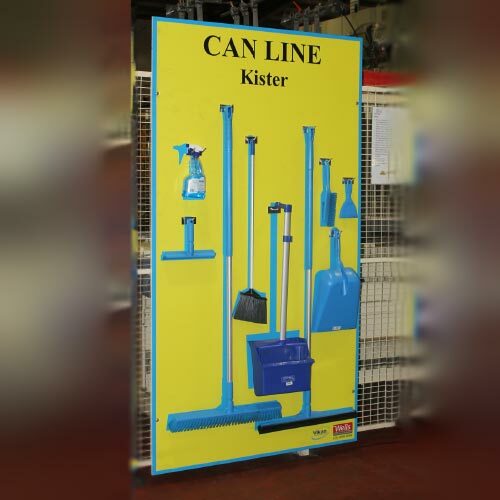 Floor mounted shadow boards are specified and designed to your standards and requirements. 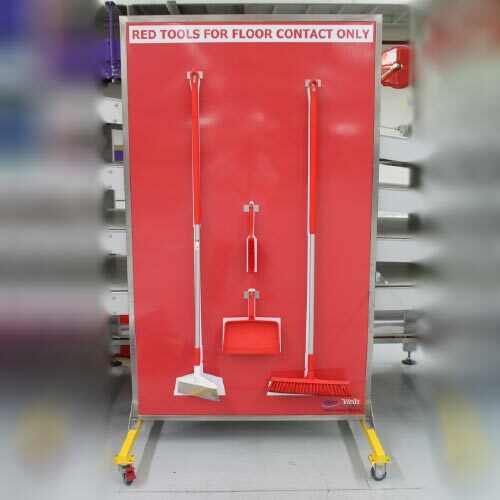 Wells prides our 5S Shadowboards as hygienic, washable, durable and a highly effective way to organise your workplace. 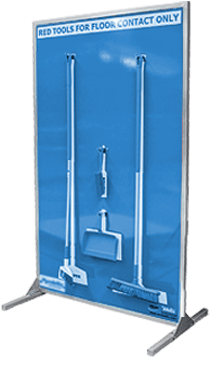 Take your 5S shadow board with you with this mobile shadow board designed to your standards and requirements, our 5S Shadow boards are hygienic, washable, durable and a highly effective way to organise your workplace. 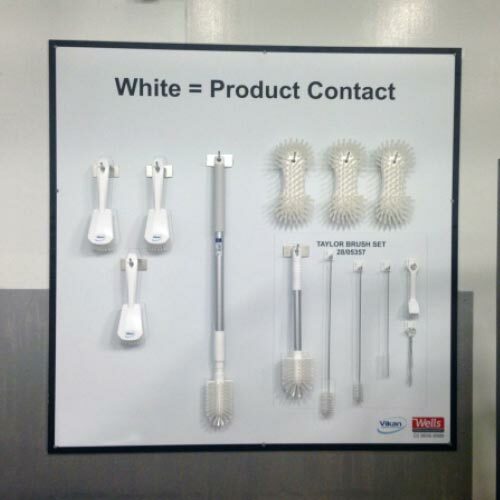 Wells custom made 5S shadow boards are a significant tool for operational efficiency & safety, cross-contamination prevention and meeting compliance regulation. 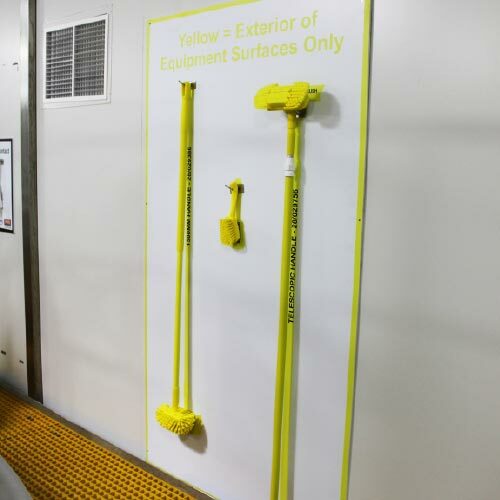 By providing your workplace with custom made, easy to identify shadow boards, rest is assured knowing your workplace is well organised, safe, clean and efficient. 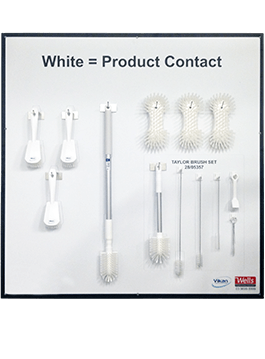 To discuss your identification and storage requirements call 03 9699 8999 (AUS) or 09 263 9332 (NZ) or complete our online enquiry form.